This is where your customers turn into promoters, after every successful checkout. Our checkout popup will trigger each time a customer completes a checkout, providing them with a unique URL to use when referring visitors to your shop. 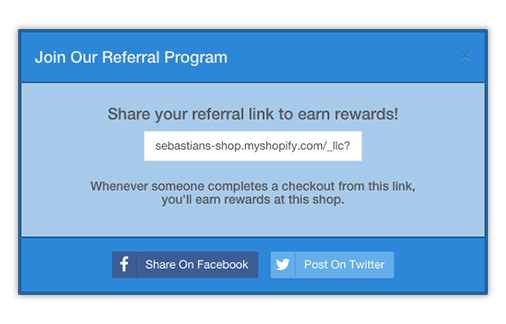 You can customize the design & content of this popup, which is securely installed on your shop within seconds of signing up, ready for you to use.